This interactive webinar will introduce participants to a family centered, positive behavior support (FC-PBS) approach to addressing problem behavior in children with autism and developmental disabilities in collaboration with family members in family settings in the home and community. Powerpoint-based information and instructor-led activities will introduce participants to key features of the FC-PBS approach, including the development of a collaborative partnership with family members, the conduct of a comprehensive assessment that includes a functional assessment and family ecology assessment, and the design of a technically sound and contextually appropriate behavior support plan based on assessment results. Selected readings and a bibliography of research on PBS with families will offer evidence of the scientific-basis for the approach. 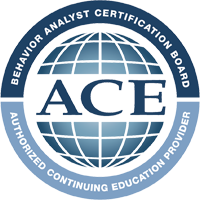 A tool kit of assessment forms, blank competing behavior pathways diagrams, PBS plan design rubric, and behavior support planning checklist will be made available to webinar participants. Culturally Responsive Positive Behavior Support with Families of Di..